Lithuania is one of the leaders in communication technologies. Moreover, almost every young professional is fluent in English. Lithuania has serveral tax incentives which are used by enterprises actively. Small companies may even be exempt for the payment of Corporate Income Tax for the first year of operation (under certain conditions). Public institutions are developing their e-services constantly. This includes professionally developed tax reporting and communication with tax inspectors. E-communication speeds up processes and reduces administrative burden. We follow international accounting and business standards and we understand the needs of international clients. Our competitive edge is based on experience, quality and a Finnish background. A reliable financial management is one of the cornerstones of a successful business. We believe that primary duty of a reliable accounting partner is to ensure accurate and timely reporting which enables you to evaluate business performance and make right decisions. Our intention is to add value to our clients by providing full support, therefore tax and legal advisory are the integral part of our services. Emphasis on the proactive approach enables us to provide better and better solutions to customers. We help hundreds of multinational and local companies run their businesses in Lithuania. Every client is important to us, regardless of the size, turnover or sphere of activity of the company. We have more than 40 experienced professionals providing world class accounting services to a wide range of clients established or expecting to commence activities in Lithuania. Our tax and legal team having different background ensures the best understanding of tax and legal issues and problems that your business is facing and provide you the most comprehensive service. Leinonen Lithuania has achieved ISO 9001:2008 certificate from Bureau Veritas. This certificate confirms that our company has implemented and maintains a management system based on the internationally recognized quality management principles. The system helps us to assure high quality standards of accounting services we provide to our clients. 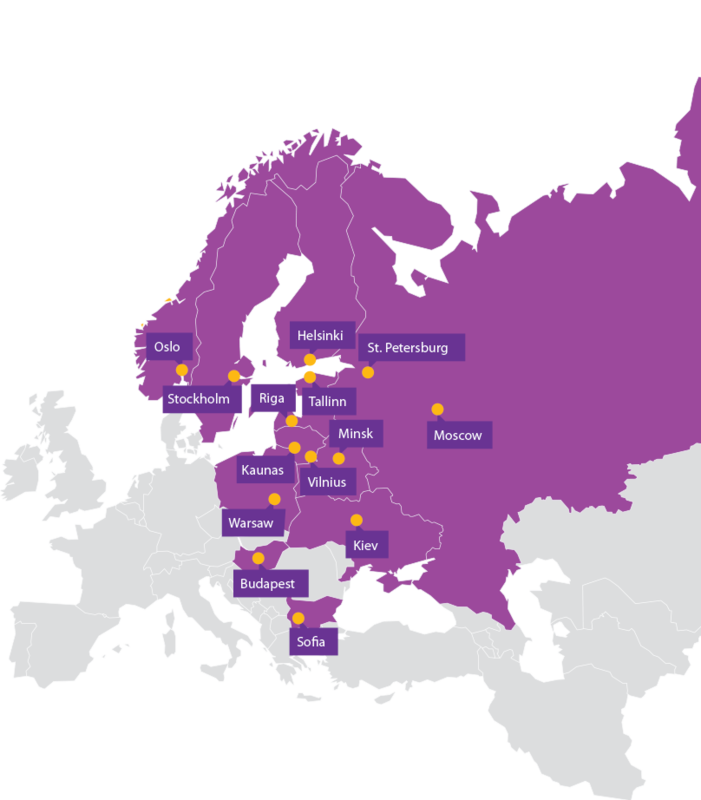 Leinonen serves mainly international clients of all sizes. We have experience in tens of accounting systems. We can help you with SAP, Dynamics AX and NAV, Directo, Hansa and Scala, just to name few.